Your Financial future is important to you and your family's survival in everyday life. It is never too early to start planning for the future. Began, by teaching your children at an early age, the financial education it took you years to learn through costly mistakes or just pure wasted time that could have been spent building your legacy. There are so many young children opening businesses at an early age because when they came to their parents with an idea, their parents didn't dismiss it. Teach yourself and your children what you need to do to achieve the wages you desire. You also need to know what to do with those earning from that business, so you can be able to take those vacations; meanwhile, live a nice retired life in the future. There are a variety of effects to how your life can be lived during retirement and now when you invest in the right type of financial security for you and your loved ones. When you are saving for short term goals, make sure you put your money in accounts that are liquid ( easily converted to cash) and safe from risk. If you desire to liquidate a certain amount of money on a particular date, you may not want to invest it in stock because it fluctuates in value. Your $1000 you put in stock may have increased or decreased on that particular date. Of course, you hope it increases, but you don't know what it will be at the time you desire to withdraw. So if you are saving for something you need now or in the next few years, make sure it's liquid. 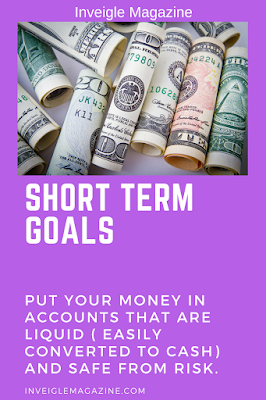 If you are saving for long term goals, it doesn't have to be as liquid, because you're not planning to use that currency anytime soon; therefore, you may choose to take a little more risk which tends to pay higher rates. You may decide to invest in stocks or other long term investments for your retirement future. Take your time and weigh out the pros and cons for your particular situation and began to make your decision. 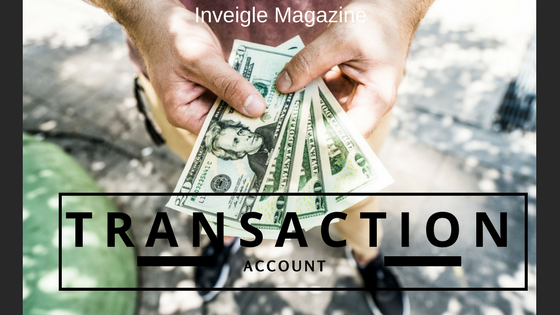 Transaction accounts are savings, checking, and money market accounts. It is available to the account holder on demand for immediate access. Money left in a transaction account doesn't tend to earn much interest. It tends to earn less than money invested in other types of financial assets. Accounts; such as a savings account, can be valuable when you need to save for a short period of time and get money out for a car, vacation, or an emergency fund without the risk of the value going down. A CD is a certificate of deposit in which money is deposited at a bank for a certain amount of time. The time can range from 6 months to years. Higher interest rates are usually given for the longer the money is deposited. Penalties are given for early withdrawal of your CD finances. Money should only be deposited in CD if you are looking to keep it for a long time investment. 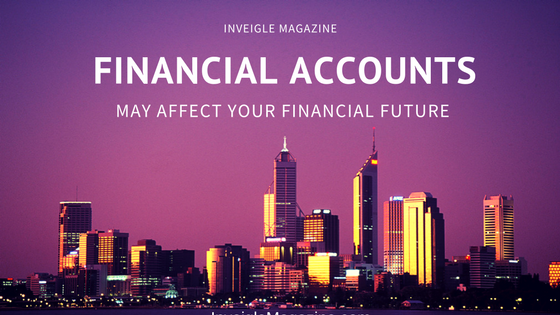 Usually, the interest rates are higher than a regular saving account. It is a safer way to save money without the fear of losing it if things go wrong. Bonds are a way of saving; meanwhile, lending your money to another company with the intention of gaining interest from that company. Bonds pay you a certain amount of interest and your face value amount at maturity. There are a variety of types of bonds; such as US Government Bonds, Corporate Bonds, Investment grade, high-yield, US treasury, and others. According to Dynamic post, "Treasuries are considered the safest bonds available because they are backed by the “full faith and credit” of the U.S. government." The secondary market is when a previously issued stock is bought and sold. The primary market is the market that firms sell new stocks and bonds to the public for the first time. The initial public offering (IPO) market; the primary market is when a privately held corporation raises funds by issuing stock to the public for the very first time. It is also called going public. "At the most basic level, there are three flavors of mutual funds: Those that invest in stock (equity funds ), Those that invest in bonds (fixed-income funds) Those that invest in both stocks and bonds (balanced funds), and those that seek the risk-free rate (Money Market Funds). Most funds are variations of the theme of these three asset classes." Transfer payments are money you didn't work for and also don't have to pay it back. One example is a gift given to you by relatives. Student grants are also considered as transfer payments since you didn't work for them or have to pay them back; unlike student loans that have to be re-payed. Transfer Payments is a "One-way payment of money for which no money, good, or service is received in exchange. Governments use such payments as means of income redistribution by giving out money under social welfare programs such as social security, old age or disability pensions, student grants, unemployment compensation, etc. Subsidies paid to exporters, farmers, manufacturers, however, are not considered transfer payments. Transfer payments are excluded in computing gross national product." So how ever you decide to invest in your future, make sure you do your research and start as early as you can. Have a great day investing in you and your family's future.